A palatal expander works by utilizing a customized appliance to widen the maxilla. It's typically recommended for patients whose palates are too narrow because a narrow palate can result in breathing and tooth alignment issues. A palate expander can widen the roof of the mouth and help correct these problems. 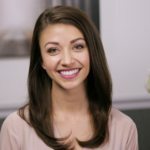 We encourage all of our current and potential palate expansion patients to review these videos to help ease any anxiety they may have about their upcoming treatment. Our team always provides expert and compassionate care, and we look forward to helping correct your bite and alignment.